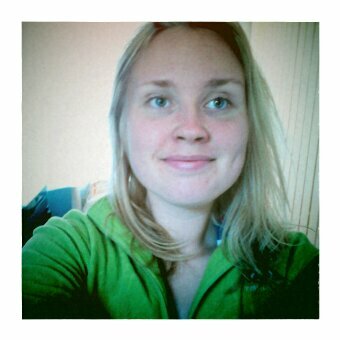 My name is Regina Huttunen and I live in a (little) place called Billnäs (Raasepori, Finland). I still live at home with my family (My mum, dad, little sister Klara and little brother Aku. I also have a big brother called Viktor but he lives in Helsinki). At home we have a cat called Eppu (he’s really adorable) and a grey little bunny called Desiré. What comes to my hobbies, I am a scout, I play the clarinet and I like yoga, music, reading, knitting, trekking and hiking and all sorts of other stuff. In addition, I play the clarinet in an orchestra. I’m also really interested in marine mammals, like whales and porpoises and seals, and other animals too and I just generally find oceans and seas to be pretty fascinating. I like school (mostly…) and my favourite subjects are English, History, Biology, Geography, Music, Arts and Philosophy. I wish that in the future I would be able to see the world and study marine zoology abroad! This entry was posted in esittely, introduction and tagged esittely, Introduction. Bookmark the permalink. Keep chasing that dream, cause you can achieve it! Hi Regina. I am Mr. George Kleinhans. Teacher at Ikamvalesizwe combined School. Please to meet you. It is 12hoo (afternoon) in South Africa now. What time is it now in Finland? Hello Mr. Kleinhans! Please to meet you. It’s (21st of October) 11:50 in the afternoon right now here in Finland.